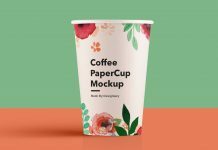 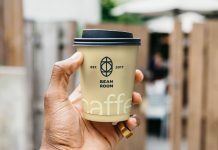 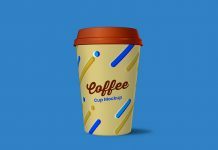 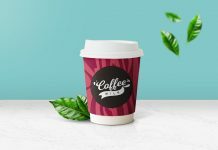 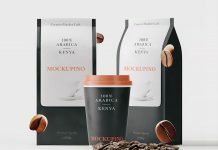 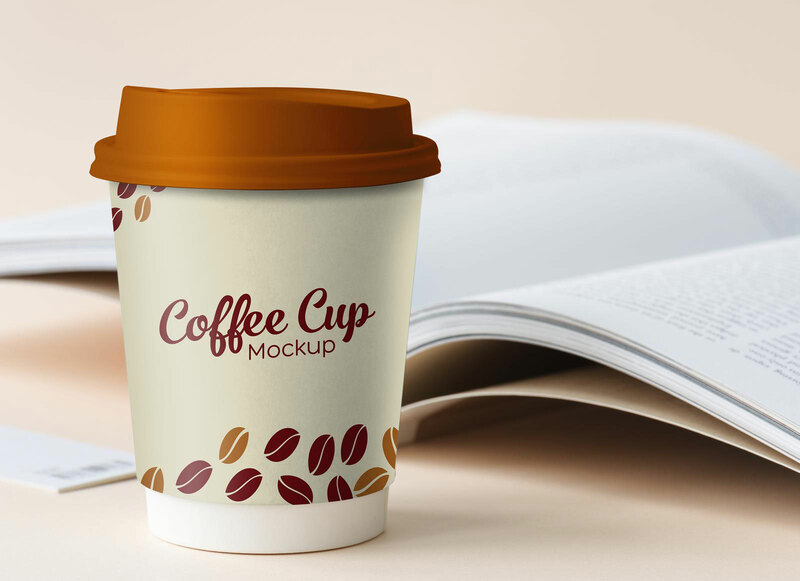 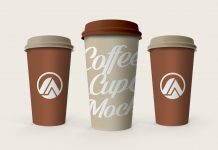 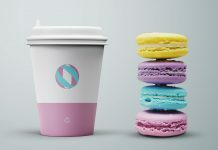 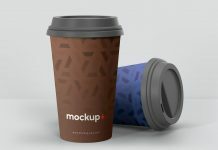 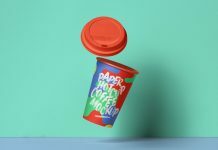 A photorealistic small sized paper coffee cup mockup to showcase coffee branding in a real environment. 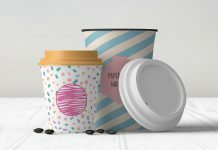 You can change the artwork of the coffee cup easily by using smart object. 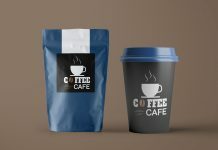 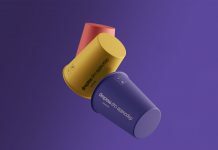 Change the color of the cap by applying fill, there are several light effects applied on the mockup you can play with them and get desired results.